Dental sealants offer protection to the teeth. It is seen as a thin plastic like coating on the top of the teeth. They can be applied on for both children and adults alike. Usually sealants are applied to the teeth at the back. This is because those teeth have more grooves on them compared to those in the front. Dental enamel is protected with this coating on them. Protecting the teeth and making sure that their structure and function is what dental sealants help in. Tooth decay is one of the primary ways in which the teeth lose their characteristics – sealants help to make sure that decay is kept at bay. Dental sealants are applied sometimes as soon as the tooth erupts. This can be during the growing years. It is also applied for adults who have deep grooves in their teeth and want to protect tooth decay. Dental consultations will help the dentist decide on which teeth would need protection from sealants. Thorough dental examination helps to decide on this. The process then starts with cleaning. The food debris that is clinging to the tooth surface is cleaned away. If they are not cleaned properly, then tooth decay can result due to bacteria acting on them. Then the teeth are dried. After drying, the dentist will etch on the top of the teeth and later clean it away. After this process is completed, the sealant is applied. To dry the sealant and make sure it sticks to the tooth surface light is applied to it. After the sealants are hardened the protection is complete. After the process is done, the dentist will conduct an examination to verify if the sealant has been applied correctly and has stuck to the surface. Tooth decay is one of the primary causes of loss of teeth and degradation in oral health. Bacteria is present in the mouth and they work on food debris to cause tooth decay. Bacteria feed on the food and release acids which work on the teeth and erode the dental enamel and cause decay. If this is untreated, the whole teeth get lost due to cavity formation. Sometimes unchecked tooth decay can also lead to gum diseases. Sealants form a protective coating over the teeth. This coating does not allow the bacteria to stay on the tooth surface. The food does not stick to the grooves and nor do the bacteria get a chance to attack these grooves through their acids. The contact of the acid and the teeth is not possible and the dental enamel stays safe. Unlike other dental procedures, applying sealants does not take much time. They can be applied with a short procedure. They do not need any injection or anaesthesia for the procedure. Sealants are mostly applied to children and the procedure does not cause pain and discomfort. They are quite durable and offer protection due to the plastic coating, they usually last up to a decade before they need to be changed. They are white in colour and usually applied to the back teeth. Because of these reasons, there are not visible to others. Children or adults need not worry that people would know they have undergone any procedure. Besides providing the boost to a person’s immune system, they also help to fight against cavities. Tooth cavities are formed due to bacterial action on the teeth. Studies show that about 75-80% of cavity formation can be stopped by applying sealants. Children who apply sealants have about 3 times fewer chances of getting cavities as opposed to those who have not undergone this procedure. The number of teeth that needs to have sealants applied depends on the chances of the child or adult getting cavities. This reflects also on the food diet that they have. If they consume a lot of sugary food and drinks – they have a high chance of getting cavities. This is because bacteria act on this sugary food and release acids which eat away the enamel and bring about tooth decay. Making children understand the importance of diet, what should be included in the diet, what can bring about harm to dental health – all these information should be shared with the child. The same goes for adults – having information on what causes tooth decay will help people make good decisions regarding their oral health. Another advantage that sealants bring is saving money. If one plans ahead and invests in sealants then they are saving money and time spend on treating dental cavities. Not to mention the pain and discomfort these cavities can cause. Dental sealants help to put a stop to advanced dental problems in a quick and efficient way. Because if the cavities are formed and there is no way to restore the health of the tooth – then extraction could even be suggested by the dentist. They also help in promoting oral health and also the overall health of a person. Applying sealants do not take much, the same goes to the time a person gets used to wearing sealants. They will get used to it in no time as they are not like other prosthetic devices. Continuing food habits as before is possible after this procedure. The normal structure of the teeth remains as before – this is one of the main benefits of this treatment. Oral hygiene and consuming healthy food is still important – that should not be compromised even if one has applied dental sealant. Care should be taken that hard food like nuts or ice is not bitten into – this can create cracks in the seal that is applied. 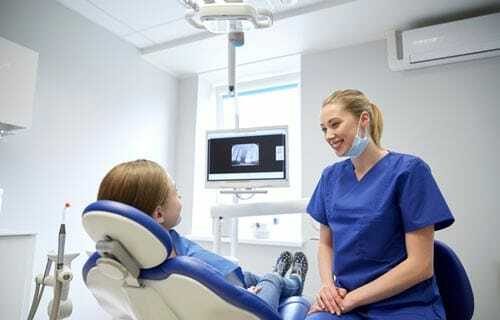 Going for regular dental consultations and checking more frequently when there is a need and following on the guidance given by dentists will help to maintain oral health.